High country farm fenceline wires encrusted with ice from freezing cloud and frost. Old Man Range in autumn. 1600 metres high. 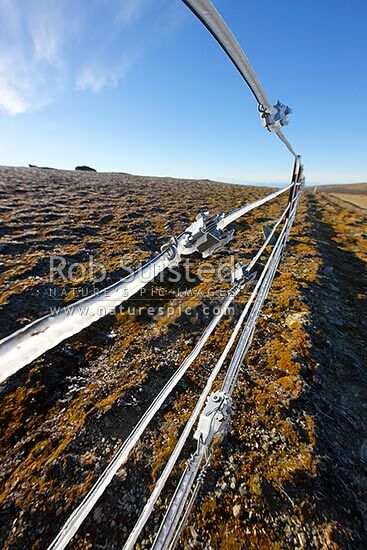 Fence tensioners, Alexandra, Central Otago District, Otago Region, New Zealand (NZ), stock photo.